MILLIGAN COLLEGE, TN (Oct. 3, 2013) — The Milligan College Concert Choir and Women’s Chorale will present a joint fall concert on Friday, Oct. 18, at 7:30 p.m. in Milligan’s Mary B. Martin Auditorium of Seeger Memorial Chapel. The concert is free and open to the public. The Milligan College Concert Choir is an auditioned mixed chorus of 43 singers with a varied repertoire that includes classics, spirituals, hymn arrangements and multicultural music from around the globe. The choir, under the direction of Noah DeLong, will perform several sacred pieces, including “Without Love,” a setting of I Corinthians 13 by Kevin Riehle; an a cappella arrangement of “Amazing Grace” by Canadian composer Larry Nickel; and “Cornerstone,” a gospel piece written by Shawn Kirchner. The Choir also will perform “Ride On, King Jesus,” written by Moses Hogan and featuring accompanist Amanda Eversole. Under the direction of Anne Elliott, the Women’s Chorale will perform selections including “For the Beauty of the Earth” by famous English composer John Rutter; an Andrea Ramsey arrangement of “Travelin’ Home,” which incorporates Sacred Harp tunes “White” and “Long Sought Home;” Lee Engler’s “Bless the Lord, O My Soul,” based on Psalm 103; and “I Am His Child” by Moses Hogan. The ladies also will perform “Triptych,” which is a set of short pieces by Diane McAninch. Continuing in Milligan’s strong tradition of women’s vocal ensembles, the chorale was founded in 2007. 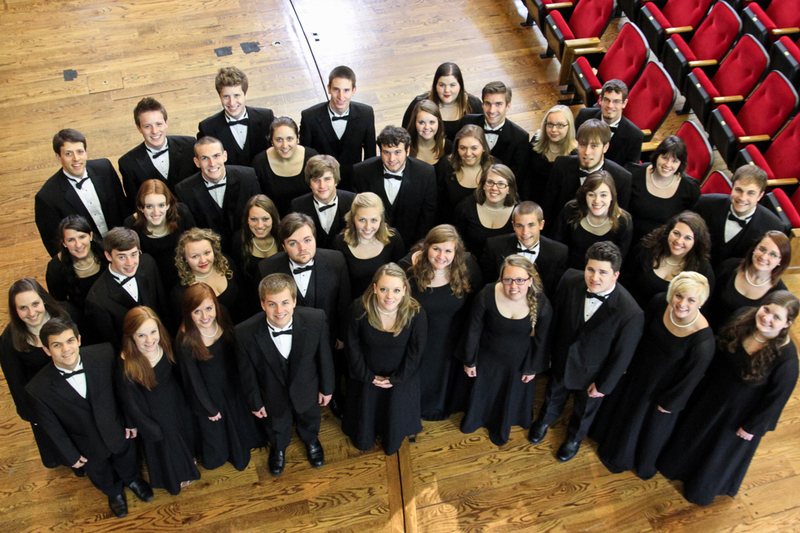 The chorale performs on and off campus in East Tennessee churches and organizations, as well as out of state. To close the concert, the Concert Choir and Women’s Chorale will join forces to present “Jubilate Deo” by Benjamin Britten, accompanied on the organ by Milligan professor Dr. David Runner. The piece will celebrate the 100th anniversary of Britten’s birth. “Both of these choirs are off to a great start this year, and we are excited for our first chance to perform in the beautiful Seeger Chapel,” DeLong said. For more information, contact the Milligan music department at 423.461.8723 or visit www.milligan.edu/arts. Posted by tommy on October 3, 2013.